Need more space than what’s available inside a sedan? 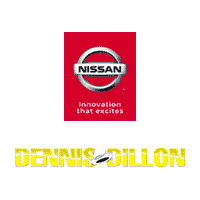 Dennis Dillon Nissan has you covered with a full range of SUVs, from small compacts to full-size people-haulers. Our inventory includes popular models like the Nissan Armada, Kicks, Murano, Pathfinder, Rogue, and Rogue Sport. Below, you’ll find 112 Nissan Crossovers and SUVs for sale near Nampa and Meridian. If you see one you like, apply for financing online, or value your trade to get started! Whether you’re leaning toward the fuel-efficient Nissan Kicks, or the Nissan Armada with its towing capacity of 8,500 pounds, we can help you find the right option for your family. The Nissan Rogue is also a great choice for Caldwell families wanting a bit of everything; it can tow up to 1,102 pounds and offers optional all-wheel drive for off-road adventures. Contact us with questions about our Nissan Crossovers and SUVs for sale, or browse our current offers and incentives!